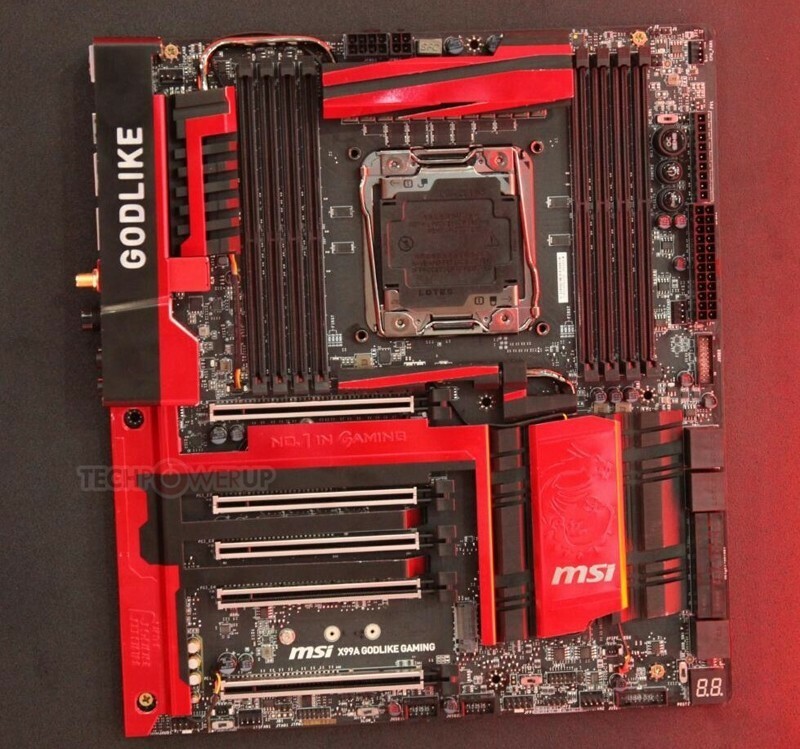 MSI are showing off a large number motherboards with updates and many upcoming Skylake supporting motherboards many of which are B. H or Q series chipsets. 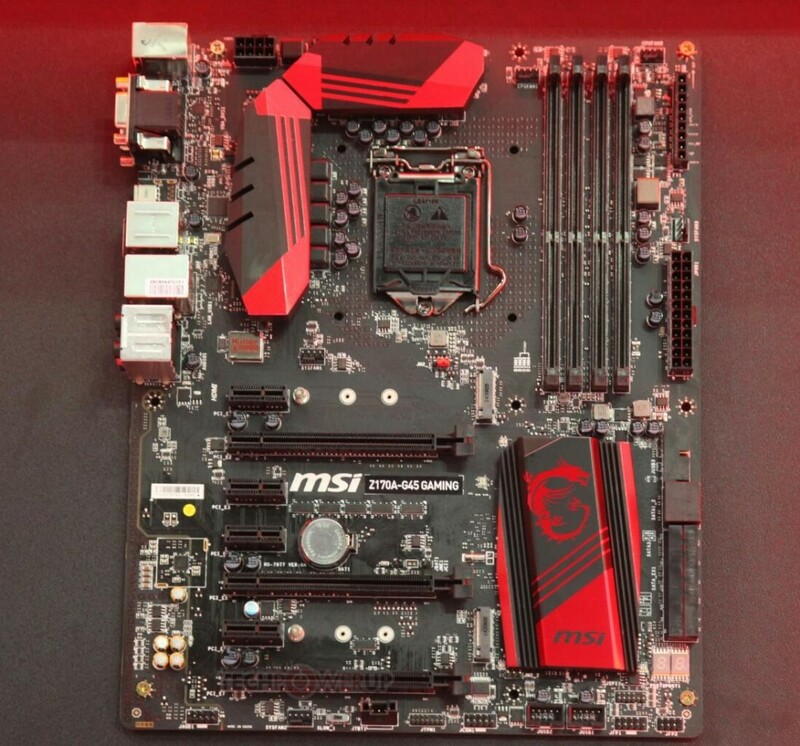 MSI didn’t show there Z170 range, including M/Xpower and the higher end gaming models, but they show one z170 motherboard, that was Z170A-G45 Gaming. 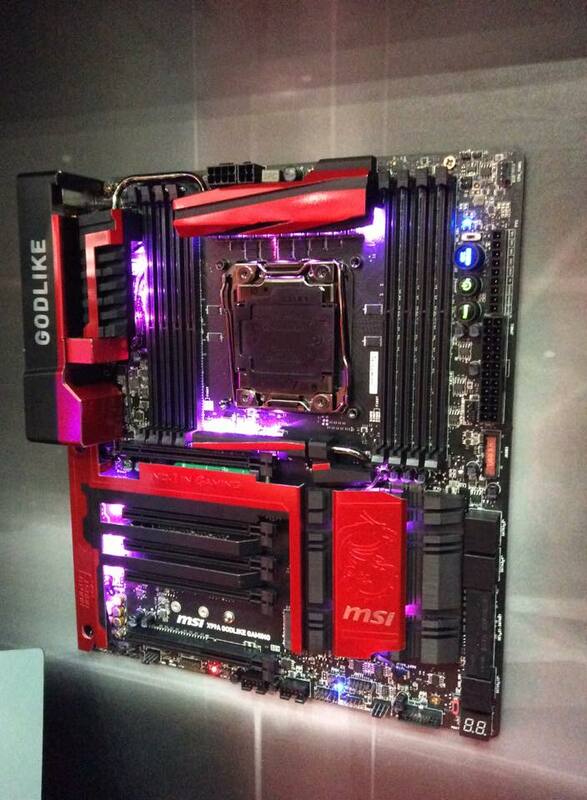 But the main new motherboard that showing off was X99A Godlike Gaming motherboard. It screams over the top, but sure there’s a market for this kind of board. It features an array of programmable LED’s for the build and moders, abundant storage options and dual Killer LAN plus Killer WiFi, Audio boost 3 and USB 3.1. 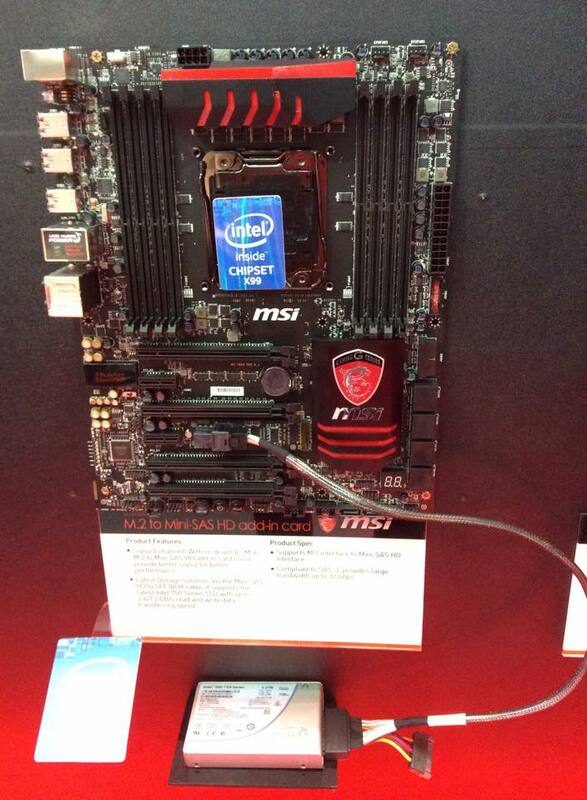 MSI were showing off a M.2 to Mini SAS adapter with a SFF-8639 connector that will providing an alternative PCIe storage solution like Intel 750 series in 2.5″ form factor. This connection method allows very fast and high capacity SSD’s to be connected via the M.2 interface.